For the past few weeks, we’ve been staying with Megan’s parents in Los Angeles. This “mini-intermission” has given us a chance to spend time with friends and family and has also allowed us to spend time revisiting the city we left behind. It has been nice to go back to our favorite haunts and reconnect with the places that made us feel homesick while we were out on the road. One spot, in particular, is Hahamongna Watershed Park, which played a major role in the start of Fresh Off the Grid. 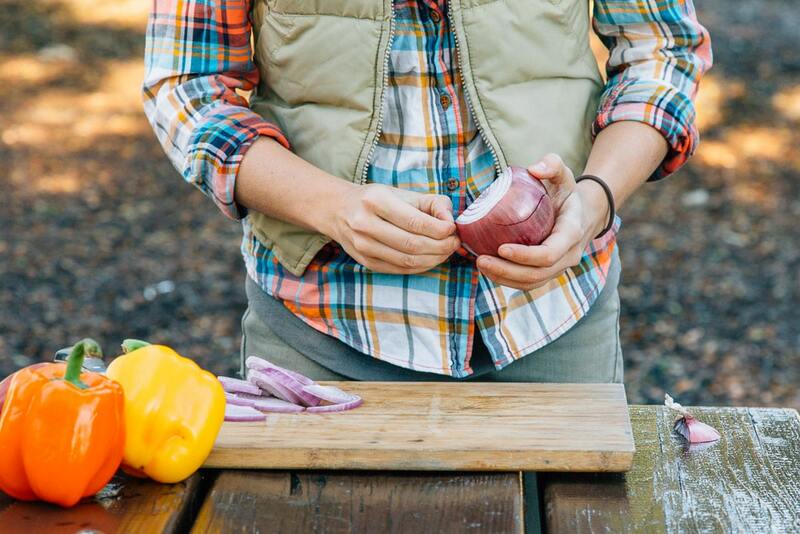 Before we quit our jobs, sold all our stuff, and committed to life on the road, we thought it would probably be a good idea to brush up on our outdoor culinary skills. So during the scorching heat of the summer – when it was way too hot to cook inside our apartment – we would go to the picnic area at Hahamonga after work to make dinner. There, we would tinker with our equipment, develop new recipe ideas, and endlessly speculate about our future lives traveling together. 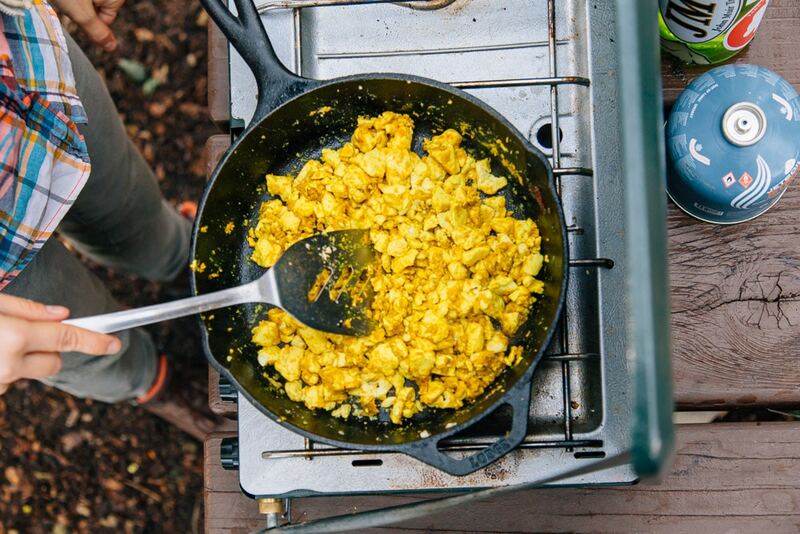 For us, Hahamonga became our “off the grid” test kitchen within the city. So a few days ago, we decided to revisit our roots and make another meal out in the park. 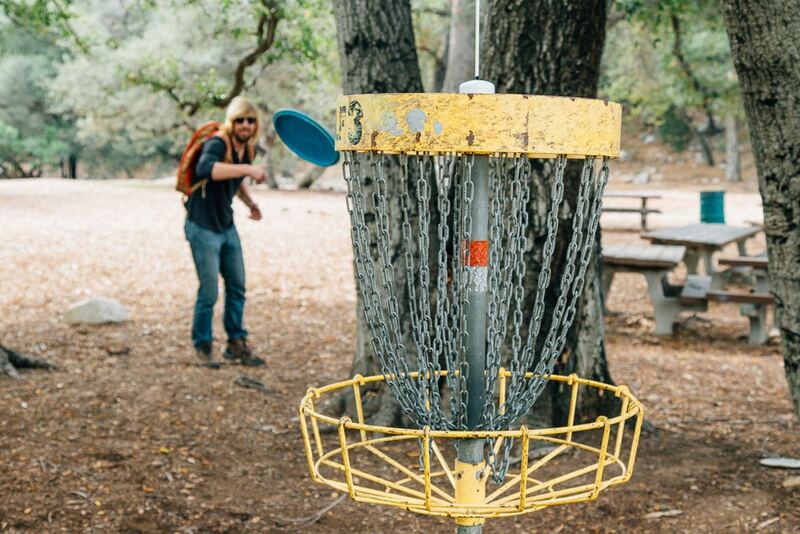 In addition to its ample picnic area, Hahamonga also contains a well-maintained disc golf course. We had a couple of discs stored away from our past lives but neither one of us had played in a quite a while. 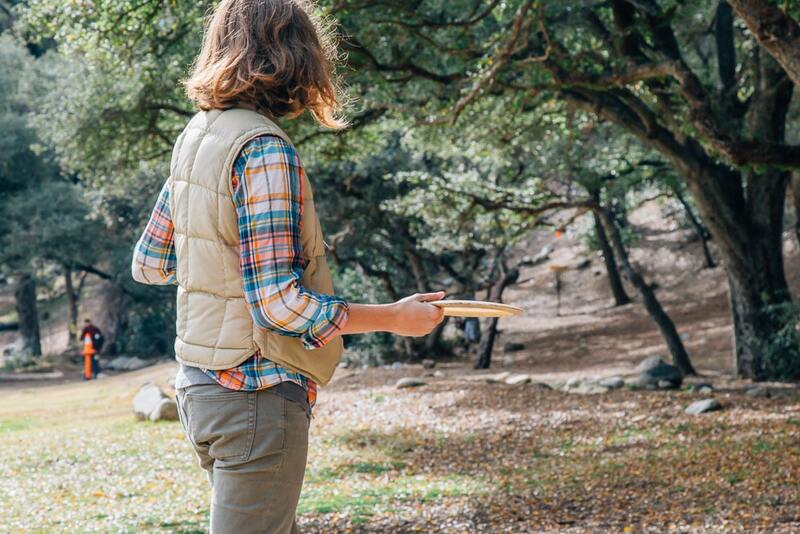 Thankfully we didn’t let that deter us, as disc golf is one of those laid-back activities that lends itself perfectly to the nonchalant amateur. If the sport is so serious we can’t laugh at ourselves while doing it, then we don’t want any part of it. Breakfast, on the other hand, is no laughing matter. For us, it is a critical prerequisite for the rest of the day. Since we were going to be moving around, we knew we needed something easy, convenient, and portable. 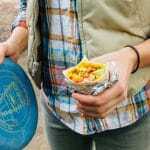 And in terms of breakfast food that pretty much means one thing: breakfast burrito. 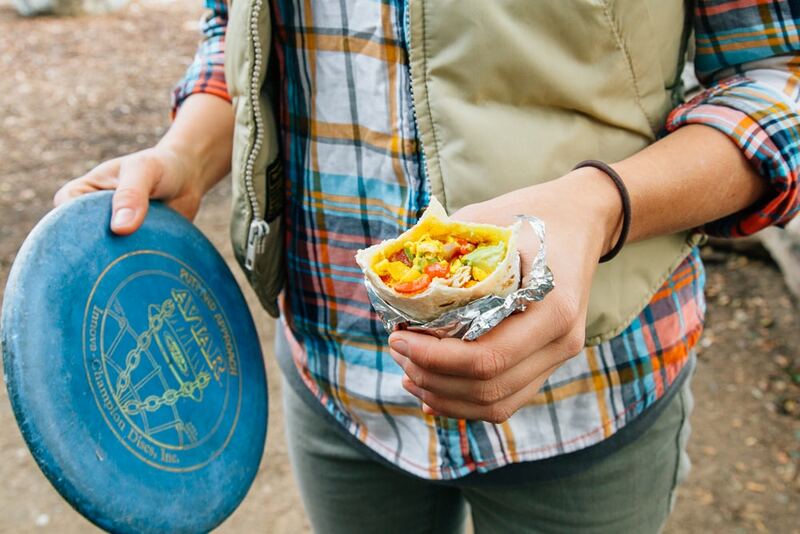 Wrapping everything up in an easy-to-carry package, the breakfast burrito is designed for a life of adventure. 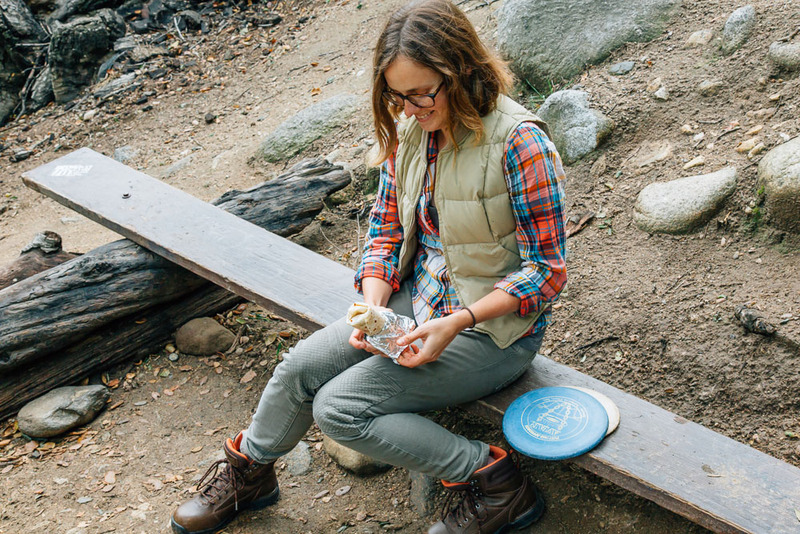 Perfect for camping, an early morning hike, or just a lazy Sunday in the park, breakfast burritos are just a great way to start the day. You can also setup a production line and start making them en masse, so you’ll have plenty to munch on deep into the afternoon. 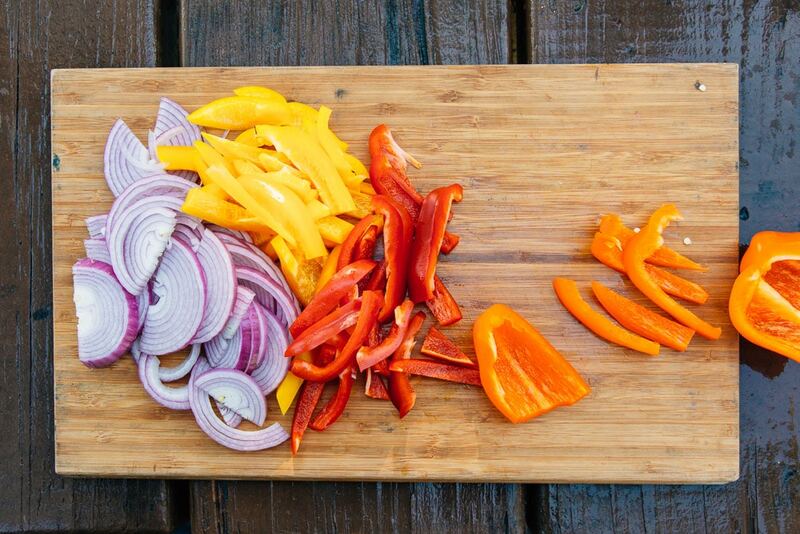 For our burritos, we started with sautéed bell peppers and onions, which we then combined with a vegan scramble made from extra-firm tofu and a blend of spices. 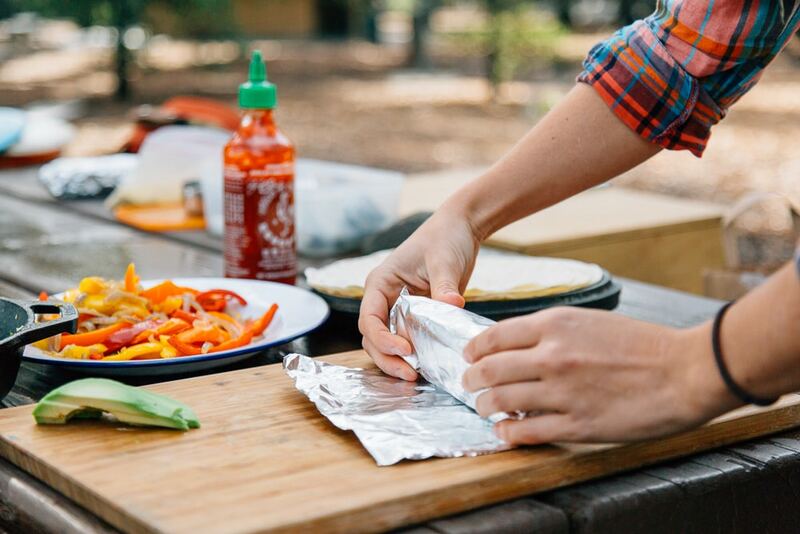 Finally, we topped them off with slices of avocado and a few generous lines of Sriracha. As far as breakfast burritos go, these were 100% Californian. It just the taste of home that we had both been craving. You can make these ahead of your trip - just wrap them in foil and heat them over your stove or campfire when you're ready to eat! 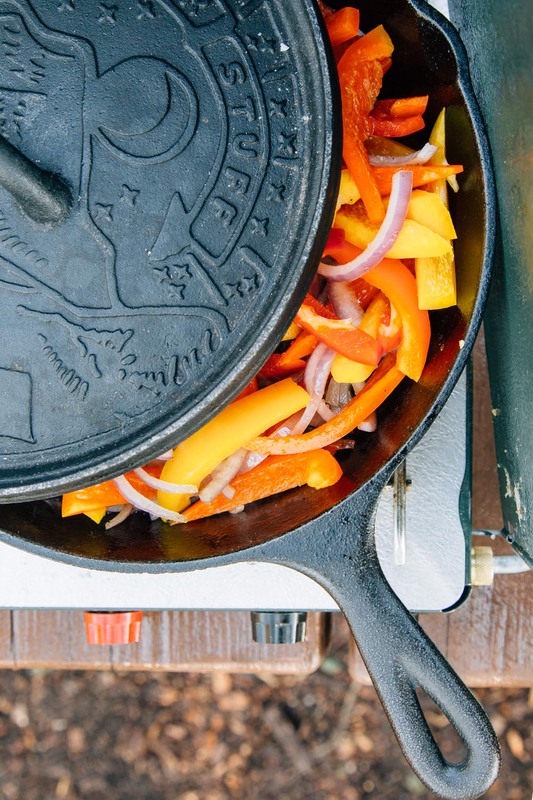 Heat 1 tablespoon of the oil in a skillet over medium heat until hot, then add the onion, bell pepper, and salt. Saute until soft, about 10 minutes. Remove from the pan and set aside. Heat the remaining oil in the skillet over medium heat. Add the tofu and break it into bite sized pieces using your spatula. Cook for about 10 minutes, stirring occasionally to prevent the tofu from sticking to the skillet. Add the spices, nutritional yeast, and lime juice, cook for a few minutes more. Remove from heat. To assemble, place a scoop of the tofu scramble, some of the onion/pepper mixture, a slice or two of avocado, and some hot sauce on one side of a warmed tortilla. Fold in the sides, then fold the bottom (the edge closest to you) of the tortilla to cover the filling. 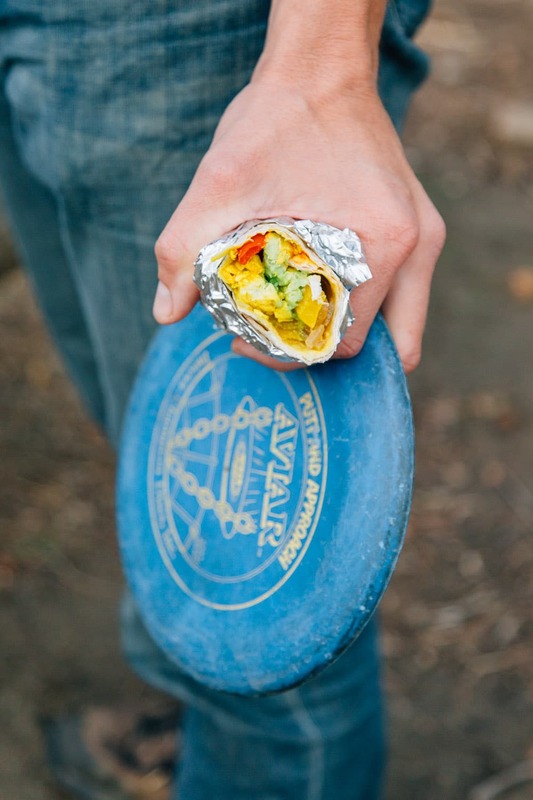 Continue rolling away from you until the burrito is wrapped up. Great recipe. We have it at least once a week. Threw in some Light Life fake sausage into it and it tasted beyond amazing! This recipe will take a spot with my breakfast regulars. How long can they store for in a fridge or cooler before eating?? ?